When Norman Maclean wrote this iconic phrase, I wonder if he realized how immortal it would become. The words mean different things to different people, but all anglers feel some bond, or connection to them. For myself, the idea conjures up an image of an angler, on a warm summer morning, standing in a clear-watered freestone river, the sun dazzlingly adds a soft glow to the dense cloud of mist, rising in softly webbed sheets from the water. It's a place I want to be in the very heart of. It's a place I want to feel, to experience, to attain. It embodies all that is good and hopeful with creation. It's an ideal most anglers spend their days trying to realize. We all seek after those magical moments. It bedevils our subconscious dreams, and we are left with an urge to be in a place where nature cleanses our souls. These words, and those that precede them, are so simple, and yet so powerful. They resonate with a desire held deep in my bones. Their author knew, as many who read them know. All waters, no matter their location, or the size of fish, hold promise and possibility. A perfect timing for a perfect hatch, where all the elements align and the fish feed with reckless abandon and you can do no wrong. A perfect moment where the light and firmament combine to give you a glimpse of God's creations in their eternally unmatched beauty. It may just be a moment on the water with someone you care about, where you make a kindred-spirited connection, or a peaceful day spent pondering similar relationships. Whatever it is, the stars can align, and that elusive moment can be experienced, usually in a once-in-a-lifetime manner, but it leaves us, well, haunted, wanting more. The diversity that fly fishing offers is what keeps me coming back for more. It is why I love it. Just when one avenue starts to lose its thrill and interest, another opens up, and often from a place I had not foreseen. 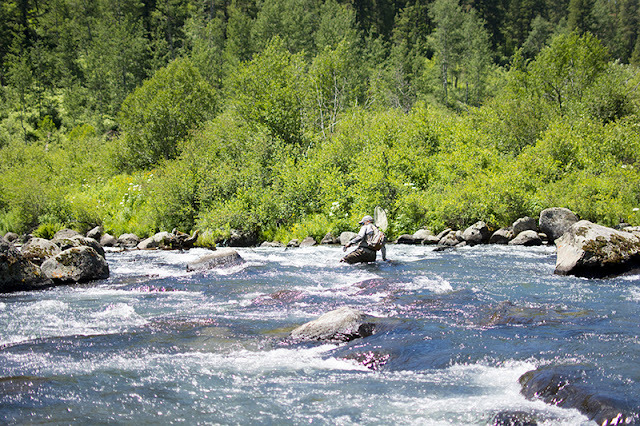 The techniques and methods of fishing can be mixed and matched in an almost infinite amount of ways, and I am not one to draw boundaries around what I will and will not include in my angling. The locations we fish are not excluded from this blessed diversity. That doesn't mean we have to travel to all corners of the earth (though with the money and time, that would be nice). It just means that we can search for new approaches to the water we already know and love. I get excited about figuring out my waters. All waters hold their secrets, often in the form of bigger fish, more fish, or new methods to catch the same fish we are familiar with. Whether you are trying to catch a bunch, or the biggest one of that bunch, it can always be done better, differently, more often, or in a way to get that fish of a lifetime. In smaller waters, it may just be a matter of catching more fish, or catching some amount in a different way. This is often why people use lighter weighted rods, such as a 3wt on a small stream. The challenge increases, even if the fishes size does not. On the other hand, in the moderate to larger waters, it usually has some connection to finding fish with increased size. While I don't know the secrets of your waters, I do know the secret to finding them out. One of my favorite lines in the old movie "Better Off Dead," embodies the main idea. Okay, so maybe it's not the best illustration, but here is the trick, start from what you know, and do something different. To get the results we have never seen before, we have to do things we've never done before. For a fly fisherman, this may mean using not only a different fly pattern, but a different type of fly altogether. From dry to a nymph, from a nymph to a streamer. From small to large. From low-profile in color to flashy and flamboyant. From slow, methodical retrieves to fast and erratic. It could be as simple of a change as fishing at a different time of day, or year, or in different weather. The whole point is to do SOMETHING different than how you normally do. And, once you have made a change that gives you a taste of success, you'll want to keep looking for other changes that could possibly result in more or better pay dirt. This approach is the key, aside from learning everything you can. Coming to know your water is critical (and I don't mean just fishing it the same way over many days, in the relatively same locations every time you go). Truly learning about your water means learning about the water temperature and how it may be affecting the fish, learning the terrain, finding out about all the species that live there, and identifying potential forage like insects and their life cycles, and gaining an understanding of the times of day the fish seem to be most active. Learning about all these elements will lead to more success. Timing and location are probably the two main elements, and they frequently dance together, presenting opportunities as varied as the seasons in Idaho. All these aspects, and more, will allow you to make more educated guesses and changes, and the more deliberate the adjustment, the quicker the road to success. The idea of delving into all there is to learn can be daunting. I think that is why many never take the plunge, striving to be content with the patterns of fishing they know. This is one of those areas where social media is a phenomenal resource. 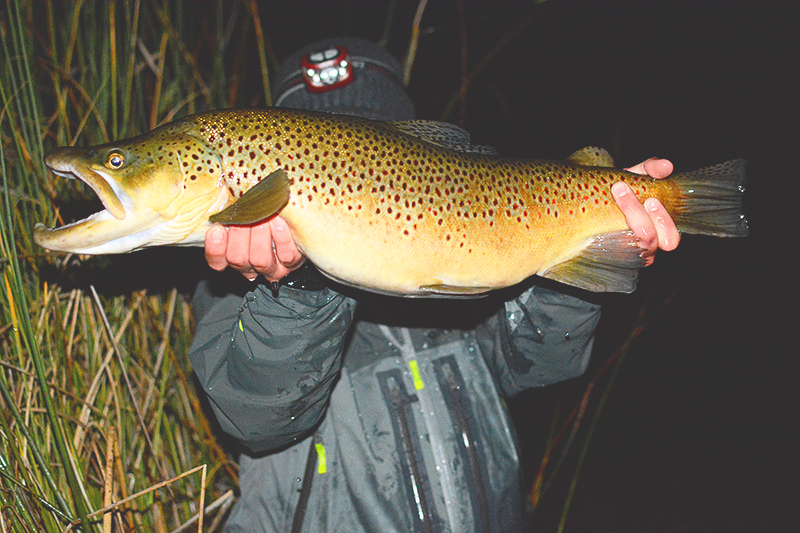 Most anglers aren't super excited about giving up locations, but many are willing to share general knowledge, and observations they have made. Just ask. Those who have made an effort to learn already practice this, and on a regular basis, especially in the beginning to build a base of knowledge, and to hone the skill of knowing how to generate more reliable information. This information and knowledge lead the learner on a path to cracking the secrets of the water that haunts them. Not only is this approach more polite and ethical, it is also far more fun. We place far more value on the things we discover ourselves. I am a firm believer that in most larger waters, there is usually far more high quality fish than most anglers would like to admit. Admitting it is to admit that we are spending most of our time not catching the bigger fish, and I don't know about you, but my pride and ego don't like that thought too much, even if it is the truth. That being said, certain waters simply do not have the biomass, size of living areas, or have too much pressure to produce large fish. The fish size versus fish bowl size concept seems an appropriate analogy here. Also, what is small in certain waters could be considered a trophy in others. In this case context matters, and I am not so ignorant as to think all waters hold 30" trout. If the biomass and size of water is there, chances are there are fish to match. Please do not be insulted. More than anything, I am making the point that there is usually more to the water than what we casually see. The fact is, your water has secrets, and not like the Victoria kind. Everyone knows there isn't much to hide there. Rather, these are those little nuggets of gold that only the persevering and observant angler gets to uncover. That very same water you have fished as a wee lad or lass has a treasure chest of success, only hidden from the unwilling. The question is, are you willing to create a map to find it? Time is the great enemy in this endeavor, but with persistence, and some degree of consistency, one can find gratifying success. I know I get excited at the prospect of better learning the secrets of my own waters, even after all I have learned.